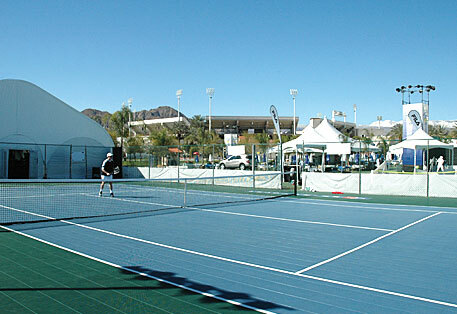 Sport Court’s modular performance surfaces are ideal for active tennis and other net games, with a unique combination of traction and ball responsiveness. ITF speed ratings range from medium to fast, ensuring that you can find a surface that matches your game. Sport Court is ideal for both residential commercial installations. Sport Court East is partnered with the United States Tennis Association (USTA) which means that all of our tennis courts are USTA approved, safe, and completely state-of-the-art. The USTA is a leading tennis association that we are proud to have a strong partnership with, click here to find out more about the USTA. 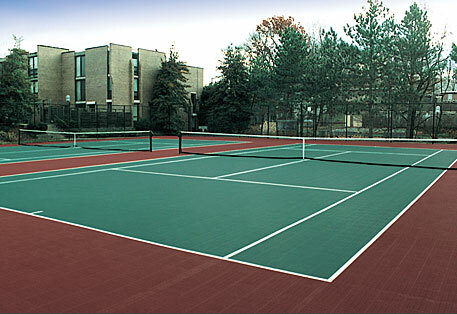 SportDeck has been installed on thousands of backyard and commercial tennis courts in the past decade, giving tennis players of all ages and skill levels a safe, responsive surface on which to perfect their game. Rated as a medium-fast surface by the International Tennis Federation, SportDeck's construction installs quickly and easily, and is an excellent retrofit over existing surfaces, lasting longer than acrylics and other topcoats. For an attractive, durable court, SportDeck is your choice. Used in sports centers around the world and is the ideal solution for your facilities, competition venues or backyard game courts. Regardless of the level of play, athletes of all ages will enjoy the benefits of its competitive performance, high end construction and safety. PowerGame has been rated a “fast” surface by the International Tennis Federation.